OTTAWA – The Canadian Paralympic Committee congratulates Chantal Petitclerc, Chef de Mission for Team Canada at the Rio 2016 Paralympic Games, on her appointment to the Canadian Senate. 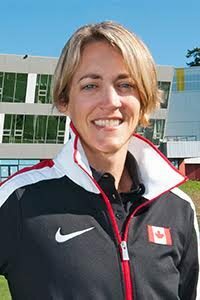 “On behalf of the Paralympic community, I would like to congratulate Chantal for this appointment,” said Gaetan Tardif, President of the Canadian Paralympic Committee. “Chantal is such a strong role model for all Canadians. She is recognised around the world for her Paralympic achievements and her leadership both on and off the field of play.